It was in the Teahouse of the Matsura Museum in Hirado that we were introduced to the intricate tradition of the tea ceremony. 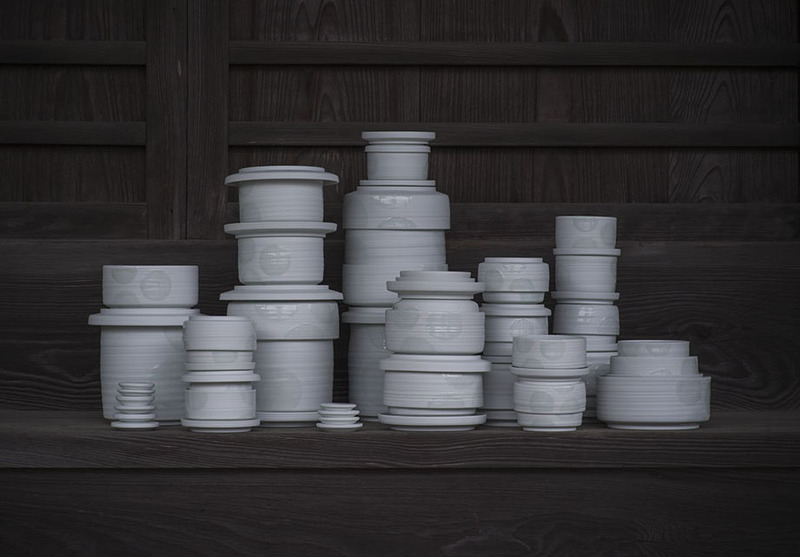 By creating the special tea ceremony ‘Sweet Nothing’ in 2016 for the Matsura Historical Museum to celebrate the Holland-Japan connection, we designed tea cups, plates and a waterpot. 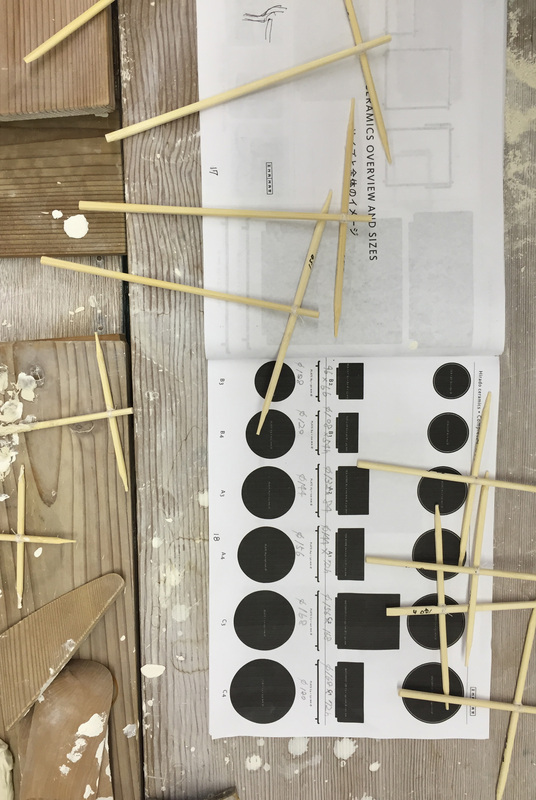 The title for the designed pieces became: SHIMMM, an abbreviation of the main ingredients that shaped the ceramics: Sweet Hirado, INAMATT and Moon Mikawachi. 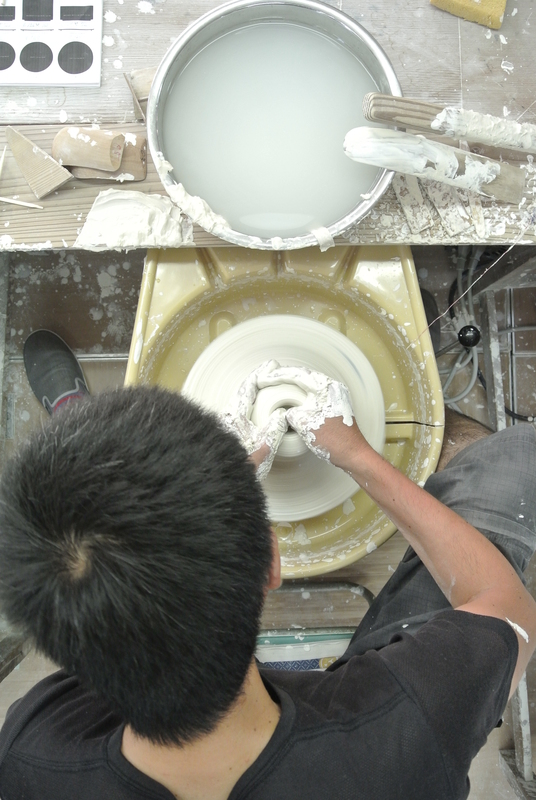 The SHIMMM porcelain pieces are unique, handmade by the hand of Master craftsman Nakazato and fit like a stackable system. The three dotted sign: sun, moon and stars, is the symbol of the Matsura family, which are playfully interpreted and connect meaning with shape. In this series they appear in an elegant and modest way on the perfect Mikawachi porcelain, famous for his pale white color.